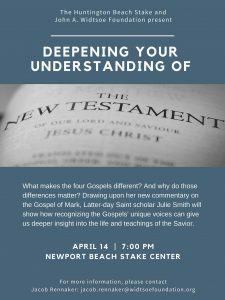 The Fish Interfaith Center and Chapman University is sponsoring an event: “Discovering Mark’s Unique Voice: A Conversation about the Gospel of Mark,” by Julie M. Smith, April 15, 2019, 7 pm, at the FIC Chapel. 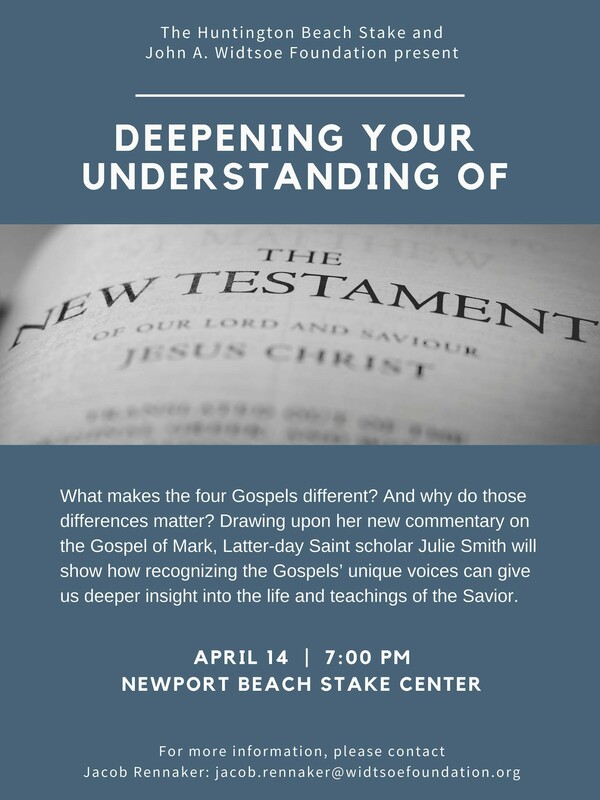 Info: https://events.chapman.edu/66024 This event will be videotaped. 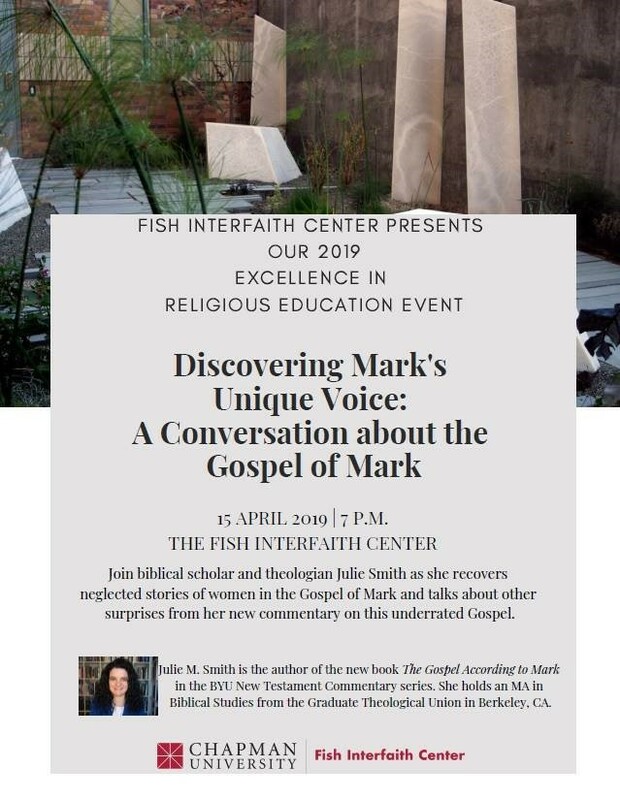 This entry was posted in Julie M. Smith, Mark on April 5, 2019 by Administrator.